The design of long-lasting roads requires knowing how many cars and commercial trucks travel over them. To collect this data, engineers rely on traffic counters. 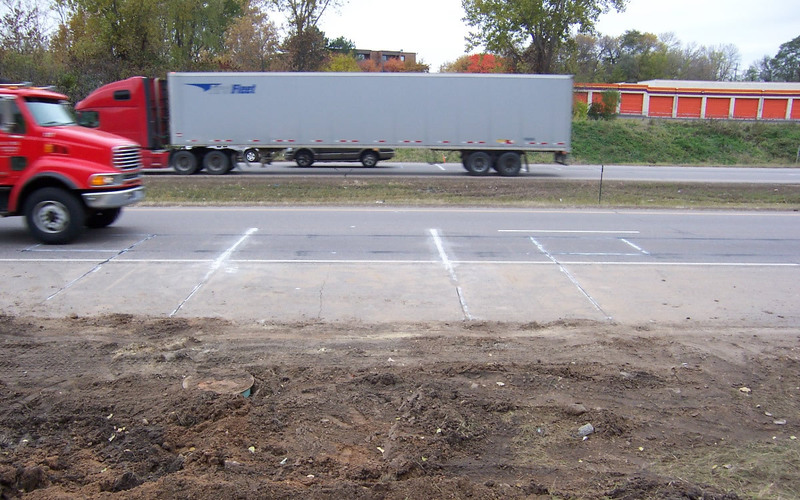 But at a cost of $50,000 to $200,000 each, MnDOT must be judicious about where it places its permanent automatic traffic recorders (ATR) and weigh-in-motion (WIM) sites. In a new MnDOT-funded research project, University of Minnesota researchers are studying how to optimize ATR placement and other collection methods to improve the quality of the data while reducing costs. ATRs and WIMs are devices embedded in the pavement surface that continuously collect traffic data. The state has 91 ATR/WIM sites, as well as 32,500-plus short-duration (i.e. “short-count”) sites where traffic data is collected for 48-hour periods and then used to estimate average daily traffic counts. The information collected is used by MnDOT’s Traffic Monitoring Unit to analyze traffic patterns and travel trends. An increase in traffic may cause the department to consider increasing the number of lanes or add a traffic light to an intersection that becomes busier. The data is also submitted to the federal government to determine highway funding. Fifteen WIM sites also collect axle loadings, vehicle and axle configuration and truck volume characteristics. This information is useful for pavement and bridge design, as well as size and weight enforcement. It’s too early to say what the ultimate outcome of the study will be, but University of Minnesota researcher Diwakar Gupta believes it may involve reducing the number of permanent count locations, while increasing the frequency of counts at short-count locations — which are deployed only once or twice every two, four, six or 12 years. He said research is showing that these snapshots in time may be insufficient for short-duration locations with seasonal commercial truck traffic. Another option may be retaining all the permanent ATRs, but only collecting data from them every few years. This could reduce site maintenance costs and the manpower needed to analyze continuous traffic count data. Researchers are also looking at how to better match short-count sites with individual or groups of continuous count locations to improve the accuracy of seasonal adjustments that are used to create annual estimates. “We think, in the end, Traffic Data Management will transition to a different way of sampling and collecting data,” Gupta said. A Weigh-In-Motion traffic counter on Highway 52, between the Lafayette Bridge and I-494.